Though not strictly Middle East related, last year I co-authored an academic article in International Affairs with Lord William Wallace of Saltaire, the Liberal Democrat spokesman for Foreign Affairs in the UK’s House of Lords, which has recently attracted the attention of the UK Parliament. Our article, ‘Reassessing the Special Relationship’, argues that Britain’s attachment to ‘the special relationship’ with the United States is a costly illusion that is not mirrored across the Atlantic and that the security elements of the relationship do not carry over into other areas of foreign policy. Britain would be well served to finally engage in significant debate about the nature of its relationship with the United States, with a view to freeing itself from an outdated mindset. I am by no means an expert on Iraqi politics, but it strikes me how much it still divides the Comentariat. Even at the LSE, we have three quite striking stances on the recent Iraqi elections in the last few weeks. Far from making Iraq ripe for democracy, the 2003 US-led invasion has established a sectarian-based political system like neighboring Lebanon where sect and ethnicity trump other loyalties, including the nation. Now sectarianism has become deeply entrenched and institutionalized, threatening the national unity and integrity of Iraq. On the whole, Iraqis did not vote according to party and ideology but tribe and sect. The ramifications of the 7 March vote are still unfolding and are starting to look much less positive than Obama had hoped…The idea that elections are the be-all and end-all of democracy is naive at best. At worst they are a shallow and unsustainable justification for the carnage that followed invasion and regime change. Iraq’s new ruling elite was brought back to the country by US and British troops; they are now presiding over a country that has repeatedly gone to the polls but received precious little beyond politically motivated violence, widespread corruption and now a flagrant disregard for the rule of law by their elected politicians. Granted the whole thing is messy and at times complicated. And it is, for Iraqis, disappointingly the case that there is no one party – either Shia or Sunni, secular or sectarian – that has a significant cross-sectarian appeal. However, let us not ask too much from Iraqis just yet. What is important is that there is progress in Iraqi democracy and politics. You now have both splits in the Shia, Kurdish and Sunni votes, as well as an open-list system that has punished underperforming officials, like those from the interior and defence ministries. Combined together, they set Iraq’s democratic process miles ahead of its neighbours and exceed the honest expectations of the international community. Iraq does not have the perfect democracy, but it has a functioning and genuine democracy. Britain’s relations with Israel have been difficult for some time. Israel resents Britain’s support for greater clarity in the labelling of products from Jewish settlements in the occupied Palestinian territories. And late last year the former Israeli foreign minister, Tzipi Livni – now Israel’s opposition leader – was forced to cancel a trip to Britain at short notice after a warrant was issued for her arrest on war crimes charges. Worldwide, Israel is now under all-round diplomatic pressure from its allies. However, I fear that some are getting too excited by this. Britain have made a gesture that it is displeased, nothing more. It’s not even as if the entire Mossad office in london has been closed, merely had its head removed. It is sadly inconceivable that Britain would ever dare to take a drastically separate path to America with regards to Israel. Indeed one wonders whether the decision to take such a firm approach on this occasion is in the context of America’s current public disagreements with Tel Aviv. If any other ally had committed so public an affront as using British citizens’ identities to commit murder, one suspects we would see a more drastic response. Five years on, those expecting regime implosions have been proven wrong. Assad is stronger now than he has been at any point during in his 10 years in power. Socially and economically, though, Syria is almost unrecognisable…. This is a well written article and touches on some interesting points. Al-Makhadi is based in Damascus and is obviously limited in how much he can criticize the government. However, it is a shame he doesn’t discuss the flip side of the social and economic revolution he describes: lack of political reform. In the height of the Lebanon crisis, there was much talk of Bashar al-Assad ushering in a reformist ‘Jasmine Revolution’ at the 2005 Ba’ath Party Congress, but this came to nothing. Similarly, a few years ago Bashar himself spoke of introducing a second chamber of parliament to increase representation in Syria. Some even speculated that the exiled Muslim Brotherhood, who held covert talks with the regime, might be allowed ot return to form a ‘loyal opposition’ like the IAF in Jordan. Sadly, it appears like all these plans have been shelved. Though the wealth gap is growing and no-one seems to be talking about the drought anymore, Bashar’s economic policies in the wake of the Lebanon withdrawal are perceived as successful. But there is a downside to economic success: it further entrenches the vested interests and lessens the pressure for internal political reform. When Bashar came to power Syrians hoped he would politically and economically reform Syria. 10 years into power, it seems he is 50% there. But what of political reform? What chance of an Israel-Hezbollah War? The persistent rhetoric on both sides is not reassuring, but that does not necessarily mean war is going to occur anytime soon. Much of it is posturing and both sides trying to maintain their deterrence against one another. As Flynt and Hillary Leverett argued in a recent blog post, Nasrallah’s language, while aggressive, showed that Hezbollah only threatened to strike Israel if attacked first. And this week Israeli Defense Minister Ehud Barack told an audience that Israel would “hold all of Lebanon responsible,” in the event of a war, but only if Hezbollah struck first. Yet in the past few years random rocket fire from Southern Lebanon into Northern Israel has notprovoked any meaningful response from the IDF. In fact, both sides have a considerable amount to lose if they do pick up arms again. Moreover, Israel has a multitude of concerns that could limit its willingness to go to war at any point in the near future. Aside from fear of suffering another draw with Hezbollah, a pre-emptive war that brings a shower of rockets on Israeli cities would have serious political consequences, especially if the reason for such a strike is unclear. If Israel makes good on some officials’ claims that any assault on Lebanon would be “disproportionate” and target the broader Lebanese infrastructure, Israel would face a further deterioration of its status in the international community, even among itsallies. But the more important question is whether Israel would be able to handle a major military operation more than three years after the Second Lebanon War? According to a recently-released Israeli State Comptroller’s report, the IDF is having trouble with recruitment and training its soldiers. Arguments that Hezbollah plans on imminent war with Israel run into similar problems. On the one hand, since the Second Lebanon War Hezbollah has grown far stronger. Despite suffering a setback in elections last year, Hezbollah maintained its political dominance by securing veto authority over Lebanese government decisions and even political approval for the group’s stockpile of arms (not that the 2008 street battles in Beirut left the government much choice). Hezbollah hasstockpiled an estimated 40,000 rockets, some with the range to hit Jerusalem and Tel Aviv, and possesses skilled military units and even air defense systems. News that Hezbollah has dispersed these rockets north of the Litani river and even in and around Beirut indicates for some, as theWashington Post recently noted, that Hezbollah is gearing up for war and wants to protect its most valuable weapons systems from quick destruction. Posted on Josh Landis’ Syria Comment by Mark Perry in Foreign Policy. Fascinating. 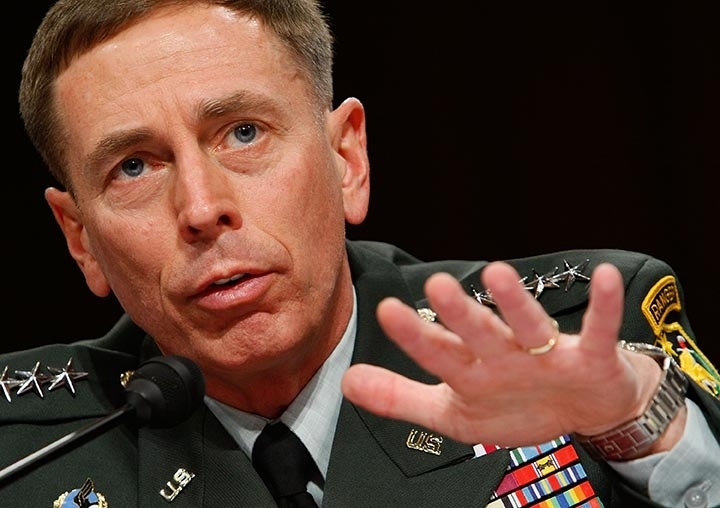 The Mullen briefing and Petraeus’s request hit the White House like a bombshell. While Petraeus’s request that CENTCOM be expanded to include the Palestinians was denied (”it was dead on arrival,” a Pentagon officer confirms), the Obama Administration decided it would redouble its efforts – pressing Israel once again on the settlements issue, sending Mitchell on a visit to a number of Arab capitals and dispatching Mullen for a carefully arranged meeting with Chief of the Israeli General Staff, Lt. General Gabi Ashkenazi. While the American press speculated that Mullen’s trip focused on Iran, the JCS Chairman actually carried a blunt, and tough, message on the Israeli-Palestinian conflict: that Israel had to see its conflict with the Palestinians “in a larger, regional, context” – as having a direct impact on America’s status in the region. Certainly, it was thought, Israel would get the message. Israel didn’t. When Vice President Joe Biden was embarrassed by an Israeli announcement that the Netanyahu government was building 1600 new homes in East Jerusalem, the administration reacted. But no one was more outraged than Biden who, according to the Israeli daily Yedioth Ahronoth, engaged in a private, and angry, exchange with the Israeli Prime Minister. Not surprisingly, what Biden told Netanyahu reflected the importance the administration attached to Petraeus’s Mullen briefing: “This is starting to get dangerous for us,” Biden reportedly told Netanyahu. “What you’re doing here undermines the security of our troops who are fighting in Iraq, Afghanistan and Pakistan. That endangers us and it endangers regional peace.” Yedioth Ahronoth went on to report: “The vice president told his Israeli hosts that since many people in the Muslim world perceived a connection between Israel’s actions and US policy, any decision about construction that undermines Palestinian rights in East Jerusalem could have an impact on the personal safety of American troops fighting against Islamic terrorism.” The message couldn’t be plainer: Israel’s intransigence could cost American lives. There are important and powerful lobbies in America: the NRA, the American Medical Association, the lawyers – and the Israeli lobby. But no lobby is as important, or as powerful, as the U.S. military. While commentators and pundits might reflect that Joe Biden’s trip to Israel has forever shifted America’s relationship with its erstwhile ally in the region, the real break came in January, when David Petraeus sent a briefing team to the Pentagon with a stark warning: America’s relationship with Israel is important, but not as important as the lives of America’s soldiers. Maybe Israel gets the message now. There is a common ritual that I, like most Britons, have regularly encountered when riding a taxi in Damascus, Amman or Cairo over the past seven years. Talkative and curious, most cabbies will immediately ask where you are from and, on hearing London, raise the usual questions about Tony Blair and Iraq. Seven years after the invasion, British citizens are still taken to task for their government’s actions in 2003. It is therefore hard to take seriouslyDavid Miliband’s claim earlier this week that the Iraq war has boosted Britain’s reputation in the Arab world. Though diplomats in Israel and Kuwait might support the foreign secretary’s view that Britain’s reputation was enhanced by Iraq, the reality on the Arab street is quite different. Militarily and diplomatically, London appears weak and tied to Washington, while economically it lags behind European competitors for influence in the region. The UK’s main area of success and influence is actually in the cultural sphere, where institutions like the British Council provide a degree of soft power. But military misadventures like Iraq, far from enhancing Britain’s reputation in the Arab world, serve to undermine the soft power that these institutions have spent decades acquiring. The Iraq war did no favours for Britain’s military reputation in the region. The operations of the first Gulf war in 1990-91 and the bombing of Iraq in 1998 had already built the image that Britain’s armed forces were an extension of US forces, and the blind loyalty shown by Blair in 2003 only cemented this view. Marc Lynch has shown how, since 1998, millions of Arab viewers of al-Jazeera have watched Iraqis killed by Britain – which became a daily occurrence in 2003. On top of this, allegations of prisoner abuse by British soldiers were widely reported, as were claims about the under-funding of UK troops. Far from enhancing respect for the military, the Iraq war has allowed the Arab media to portray it as subservient, abusive and weak. Subservience to the US has also characterised the Arabs’ perception of British diplomacy since 2003. The initial refusal to seek a ceasefireduring the 2006 Lebanon war and a similar reluctance in Gaza are two prominent examples. Even recent diplomatic shifts, such as Miliband’s commendable lobbying for the relabelling of goods produced in Israeli settlements, or his visit to previously pariah Syria, are interpreted as reflecting the new priorities of the Obama administration rather than independent British initiatives. This perceived diplomatic dependence on America is emphasised by other actors’ comparative freedom in the region, notably France, which has re-engaged under President Nicolas Sarkozy, deepened its ties with Syria and Lebanon and opened a military base in the UAE. Economically, Britain’s influence is similarly limited. While Lord Davies, the minister for trade, investment and small business was in the UAE this week trumpeting the increased trade between Britain and the Middle East, Britain lags behind Germany, Italy and France, which take a far greater share of the Arab market. One field where Britain still excels is arms sales, particularly to Turkey, Israel, Jordan and Saudi Arabia. However, far from using this trade to leverage influence, Britain seems more eager to appease its customers. This was seen in the dropping of corruption charges in the BAE-Saudi scandal, and the continued sale of arms to Israel after the 2008-09 Gaza war. Yet in spite of perceived military and diplomatic subservience and economic impotence, Britain does maintain an influential cultural presence in the Arab world. While critics may attack organisations such as the British Council as a waste of taxpayers’ money or “cultural imperialism”, arguably their many educational, cultural and developmental projects enhance Britain’s reputation far more effectively than the billions spent on the Iraq war. The British Council itself recognised this fact in 2007, substantially expanding its presence in the Arab and Muslim world. Though the Arab press often hails the role of the British Council in supporting local projects, its reputation can be easily tarnished by the government’s foreign policy. In 2006, for example, when Britain was alleged to have a role in Israel’s capture of a Palestinian militant, the British Council in Gaza was attacked. Moreover, Britain is not alone in promoting cultural ties and soft power in the Arab World. France’s Institut Francais and Germany’s Goethe-Institut have expanded their impressive operations in the Middle East recently, without fearing a backlash against their government’s policies in the region. As Chilcot continues and the British establishment tries to understand what went wrong in 2003, perhaps it should take the opportunity to reassess how Britain projects its power and influence in the Arab world. David Miliband is deluded. Displays of hard power on the coat-tails of the US won’t enhance Britain’s reputation. Military misadventures like Iraq only serve to undermine the soft cultural power that is far more effective in promoting a positive picture of Britain in the Middle East.